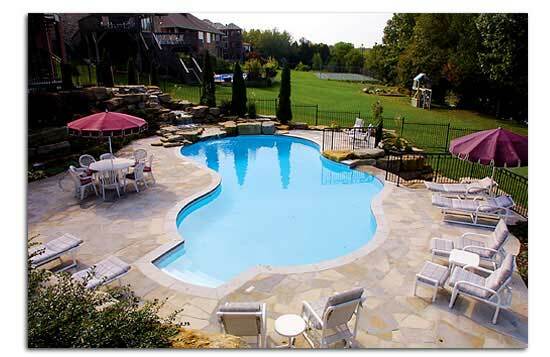 Pendleton Pools offers a 20 year liner warranty. Five years full with the remaining 15 years prorated. 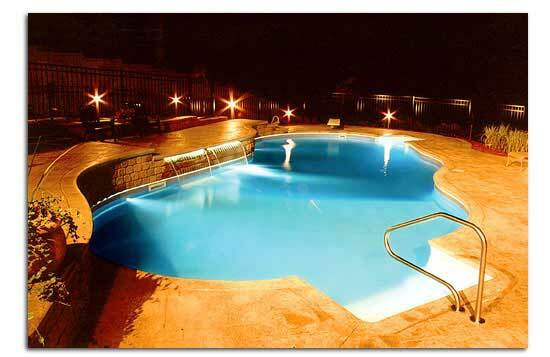 Pendleton Pools uses the most innovative electronic leak detection devices available to the industry. In most cases, a leak can be found within the first hour. ” The Bubbles The Elephant” Test! 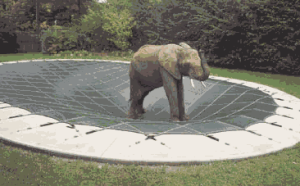 You’ll probably never need a pool cover strong enough to support the weight of “Bubbles,” the African elephant seen here. But imagine how safe you’ll feel owning the only pool cover that’s proven it can: the one and only LOOP-LOC Safety Swimming Pool Cover! Built super-strong and securely anchored into the deck, LOOP-LOC puts an unbreakable “lock” on your pool to protect your family. The LOOP-LOC is designed to hold taut to the exact shape of the pool with stainless steel springs and solid brass anchors that screw down flush to deck level when the cover is not in use. A dry, taut cover that never needs pumping and will support the weight of an elephant is a lot safer for children (& elephants) to be around. LOOP-LOC pool covers are so well made that they come with a Twelve year warranty. You’ll never have another sleepless night wondering what’s crawling EVEN YOUR PET ELEPHANT CAN WALK ON THIS COVER!on your winter pool cover, and if it will break a seam or develop a hole that contaminates your pool water. You’ll never wonder if the pool is safe from unauthorized use or if playful children are safe around it. No more ugly, slimy monster in the backyard. 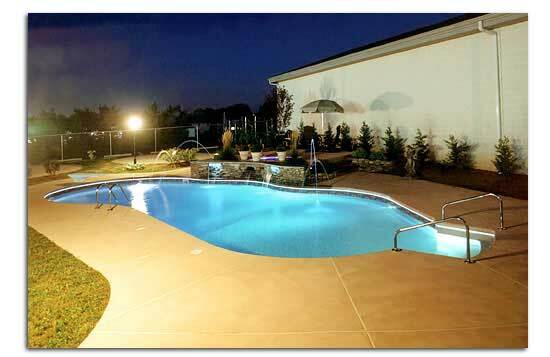 Once the LOOP-LOC pool cover goes on, there’s nothing to do until spring! We also carry water bag type covers for your in-ground pool. These type of covers are placed over your pool and are held by bags filled with water.Water bag covers will protect your pool from trash and debris but are not designed for safety to prevent children or animals from falling in your pool. Swimline’s Winter Pool Covers are very good polypropylene winter pool cover designed to stand up to winter after winter of ice and snow!